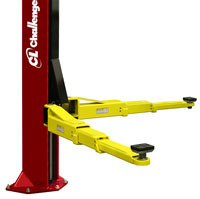 Service more vehicles and make more money with Challenger Lifts’ new CL12, 12,000 lb. capacity two post lift. 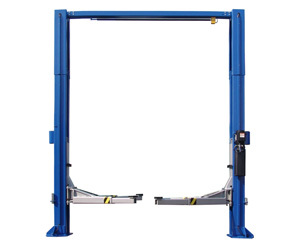 The new CL12 comes standard with 3-stage front and 3-stage rear arms providing the advantage of lifting many common cars, trucks, vans and SUVs within rated capacity. 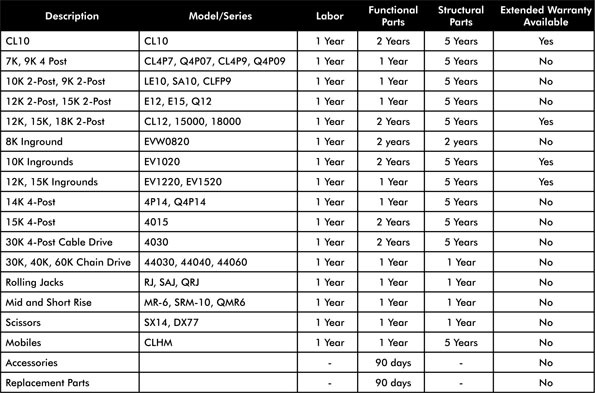 The CL12 has features you would expect to pay more for like geared arm restraints, 3-stage front and rear arms, and necessary adapters for lifting trucks. In fact, no other car lift company gives you more. All CL12 lb. 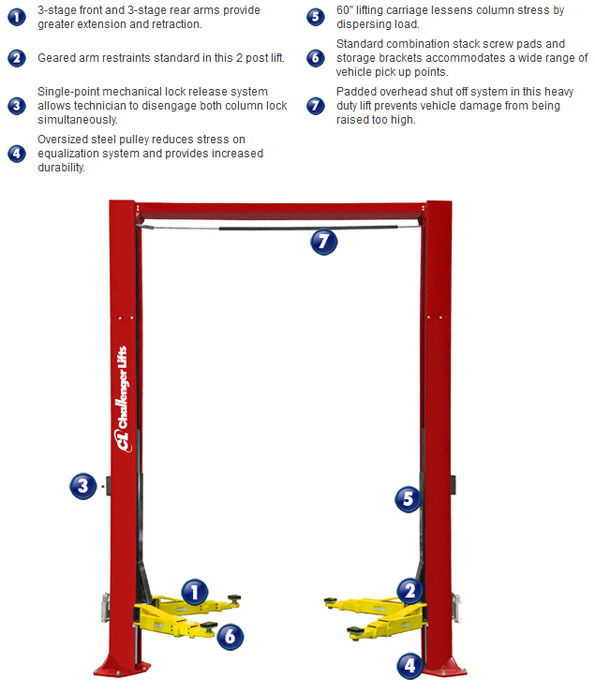 capacity vehicle lifts come standard with Part# 10315 Stack Adapter Extension Kit and #10318 Four Frame Engaging Truck Adapters. 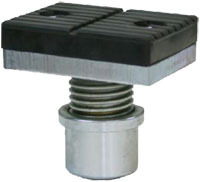 Frame engaging adapters (Part #10314 or 10318) are REQUIRED when lifting vehicles with frame construction such as trucks. Rise Height is measured with high extension. 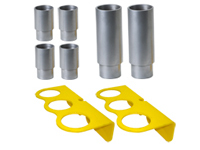 Medium and high auxiliary adapter extensions are standard. Optional 3 phase electrical also available. Specify at time of order.